Hey Friends! This is our special family recipe for Homemade Red Velvet Cupcakes. They are made from scratch, so don’t let the ingredient list intimidate you. 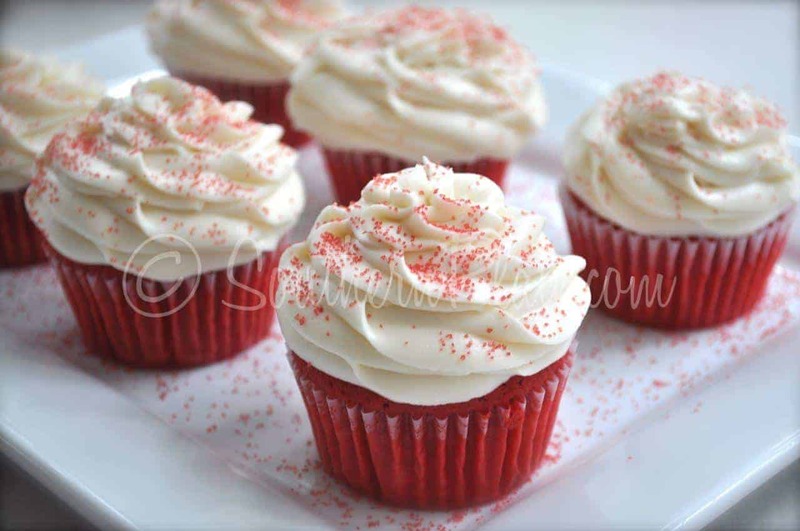 Despite being made from scratch these Red Velvet Cupcakes are simple and well worth the time! So if you are looking for a great recipe to take and share with family, friends, church get-togethers, at holidays or just as a dessert or snack at home these are perfect! Most people tend to associate red velvet with holidays and gatherings in December but these make wonderful treats for loved ones at Valentines Day! The printable recipe is below so bake up some sweetness for your sweetie today! Line 2 - 12 cup muffin tins with papers. Fill each paper about 3/4 full with batter. Will end up with 18-20 cupcakes. Bake at 350 for 20-25 minutes, or until center springs back when pressed lightly with finger. Allow to cool completely before icing. Cream together cream cheese and butter. Add sugar and vanilla and beat with electric mixer until smooth and creamy, scraping down sides as needed. Ice cooled cupcakes. Hello. thank you for the awesome recipe. made these last night came out pretty delicious. my only question is would adding more cocoa powder effect the batter. I would say adding as much as 1 more tsp or even a tablespoon??? Indeed Red Velvet Cup Cakes are perfect cakes for a Valentine’s day. The Recipe is also simple and easy to prepare. Rev velvet cake is my favorite! Can butter be substituted for the oil? I haven’t tried it in this recipe but it should work. I’m just not sure how it will affect the cake, it will likely be not as moist. I’m making these to celebrate two neighbors birthdays, so I “test fired” them by making a half recipe, using store bought icing. I really liked them and I’m sure they will be even better with “real” cream cheese icing. Not overly sweet and they look very pretty when decorated as shown in the photos. 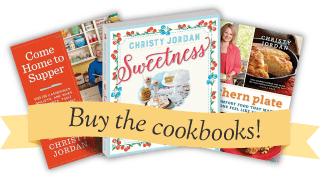 Christy, you’re becoming my go-to source for good old fashion’ recipes that are killer good!